AFF Stage 1 ground training and your first freefall skydive wearing your own parachute. 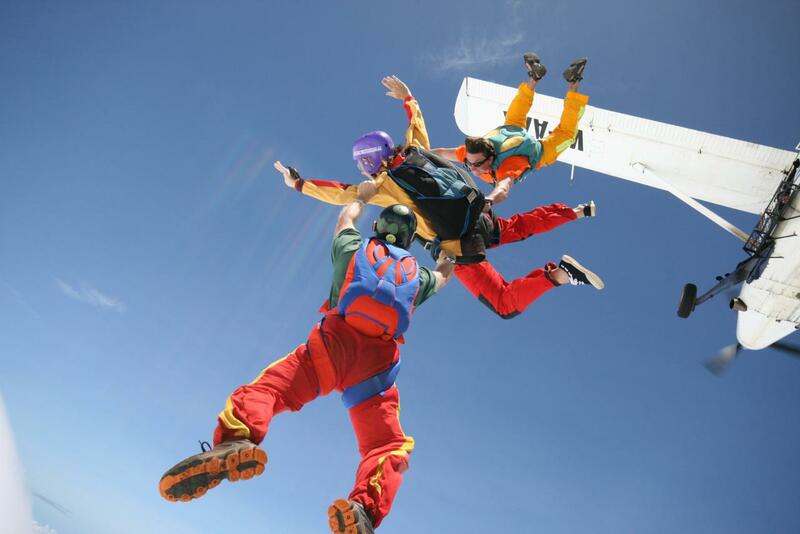 Your ground training will cover all aspects of free fall, equipment, flying your parachute and emergency procedures. After passing the ground training on the second day you will complete a free fall skydive wearing your own parachute accompanied by two instructors.